You spend valuable time and dollars acquiring inventory, furnishing your store, and marketing your products, but those efforts may be in vain if you don’t have a reliable payment processing system in place to capture the sale with a reliable and efficient merchant account system. 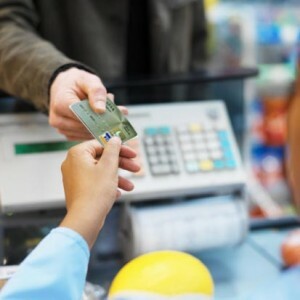 Today’s busy shoppers demand flexibility and convenience in their payment options. To maximize sales and keep your customers coming back, it’s critical that you provide them with quick, secure credit and debit transaction solutions. At Elite Payment Processing our dependable solutions allow your retail establishment to accept all major types of credit cards including Visa, MasterCard, American Express, and Discover as well as debit cards and checks, all with just one merchant account. Our highly adaptable payment processing technologies can be scaled to suit retail establishments of all sizes, from small family-owned shops to large retail outlets. We also offer state-of-the-art payment processing equipment from standard credit card terminals to computer-based software programs to ensure quick connectivity and instant approvals. Already have a credit card terminal or POS solution implemented? Our skilled and friendly merchant account pros can integrate Elite Payment Processing’s reliable merchant account system with your existing equipment, so there’s no need to purchase new hardware or software. At Elite Payment Processing of Fort Lauderdale we will help you take your business to the next level with great service and pricing on your merchant account and credit card processing equipment. Elite Payment Processing has reduced our processing costs by 13%. Thank you for your excellent service and we look forward to doing business with you for years to come. We have been using Elite Payment Processing for many years now and find their service and reliability outstanding. Elite Payment Processing is VERY different from all of our previous merchant service providers...their customer service is the best! © Copyright 2014 . Copyright 2008 Elite Payment Processing, LLC. All rights reserved. Elite Payment Processing, LLC is a registered ISO of Wells Fargo Bank, N.A., Walnut Creek, CA. All trademarks, service marks, and trade names referenced in this material are the property of their respective owner. American Express® may require separate approval.